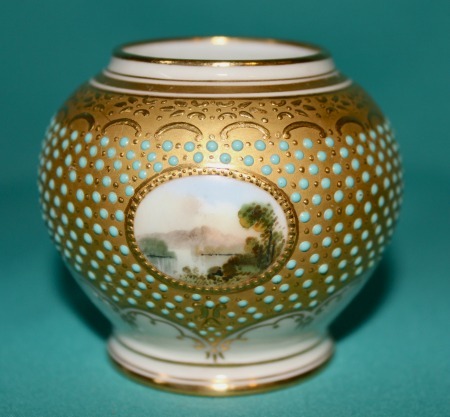 A small Coalport Porcelain "Jeweled" Vase, late 19th/early 20th century, the centre painted with a landscape on ivory ground with wide gold band decorated with turquoise enamel jeweling, gilt and raised gold foliate borders. 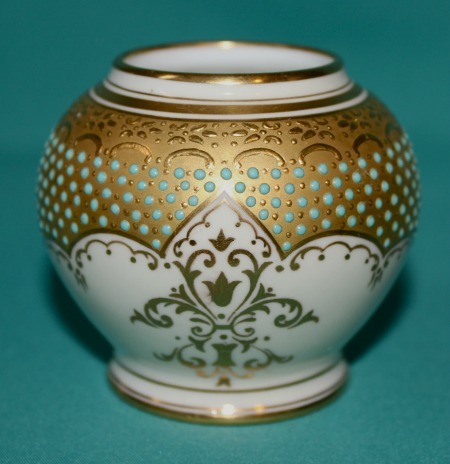 Dimensions: 6.5 cm high x 7 cm diam. 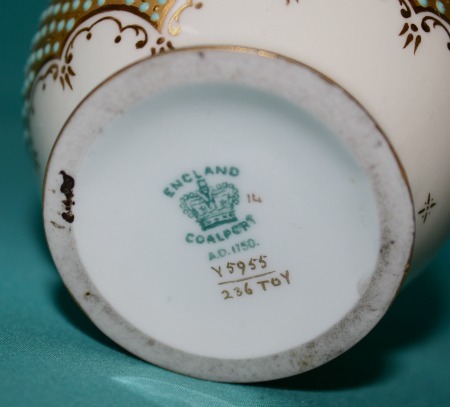 Printed mark on the base, pattern Y5955/236toy. Excellent condition.